legislation that says you have to be qualified in order to ski with groups in France, we are no longer able to offer our popular ski hosting, or ‘social skiing’ service. However, we recognise the importance of this level of support for our solo skiers in particular, but also to anyone new to these resorts. As such, we have put in place an alternative which can be accessed by anyone staying in Le Grand Bornand and La Clusaz, called the Snow Rep Service. As part of this, one of our ski team – a Snow Rep – will be available at the top of the telecabines to provide additional route guidance and orientation on where to ski, and he or she will also follow this up with a presence at a designated coffee stop and lunch stop. At each of these they will try to facilitate skiers coming together and mixing in, finding buddies, and planning out the rest of your day. 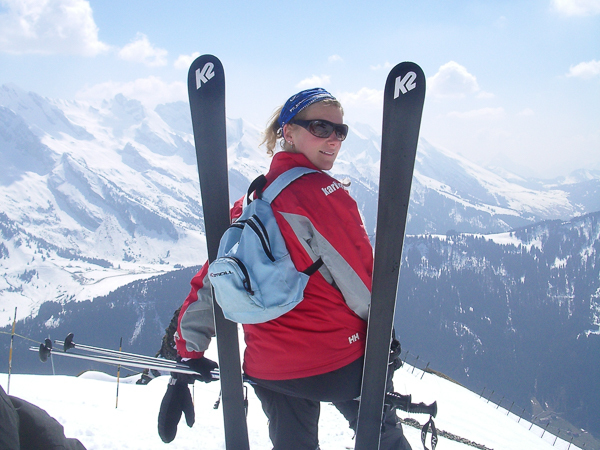 Given we don’t have team members based full-time in either of the resorts themselves (only at Aravis Lodge – as part of our ‘Classic Package’), we will also provide an opportunity for guests to meet up in the evening and ask any questions of our Snow Reps, as well as potentially meet other guests. We think our guests appreciate seeing a friendly, familiar face, and to know someone is there if you have any questions, or to help hook you up with others if you wish. If you have any questions about our Snow Rep Service please contact us for further information, we are always happy to help.